At Pride Toronto’s Annual General Meeting Tuesday night, members voted in support of demands from Black Lives Matter Toronto, including the removal of police floats from future parades. At Pride Toronto's annual general meeting Tuesday night, members voted in support of demands from Black Lives Matter Toronto, including the removal of police floats from future parades. "It was exciting to see so many hands go up, when you've been silenced for the last 20 years," said Black Lives Matter Toronto's Ravyn Wngz after the vote, which was added to the meeting's agenda unexpectedly. 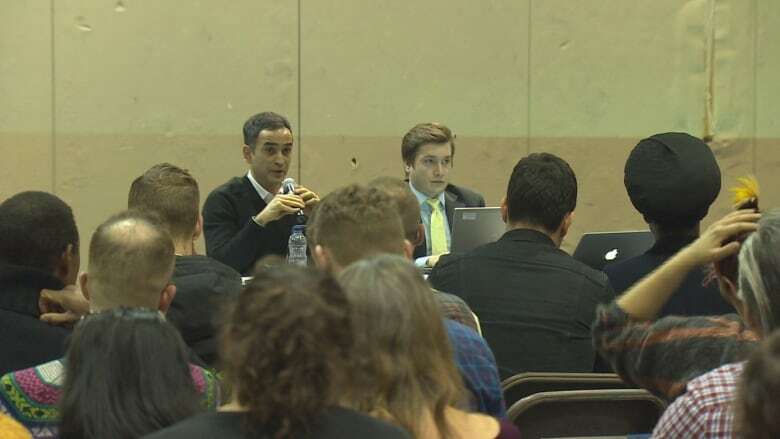 Tuesday's meeting also put to bed the possibility of a formal dispute resolution process between Pride Toronto and Black Lives Matter Toronto — a solution which was put forward in late August. 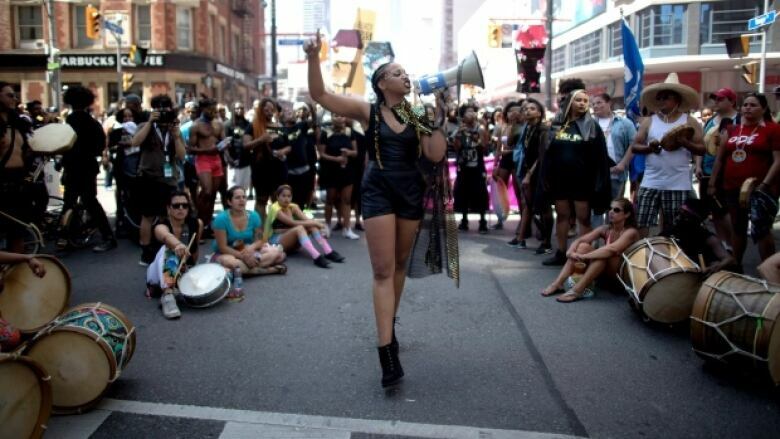 At Toronto's Pride parade in July, members of the Black Lives Matter Toronto group briefly halted the parade with a sit-in, which ended when Pride Toronto executive director Mathieu Chantelois signed a document agreeing to a list of demands. Chantelois has since stepped down. Current Pride Toronto co-chair Aaron GlynWilliams said that Tuesday's vote reflects the direction already being taken by Pride leadership. As for what 2017's Pride parade will actually look like, GlynWilliams, whose three-year stint with Pride Toronto will end shortly, said it would be up to the incoming board to provide specifics, but that substantial progress has been made since the summer. "There's never been a year without pressure. 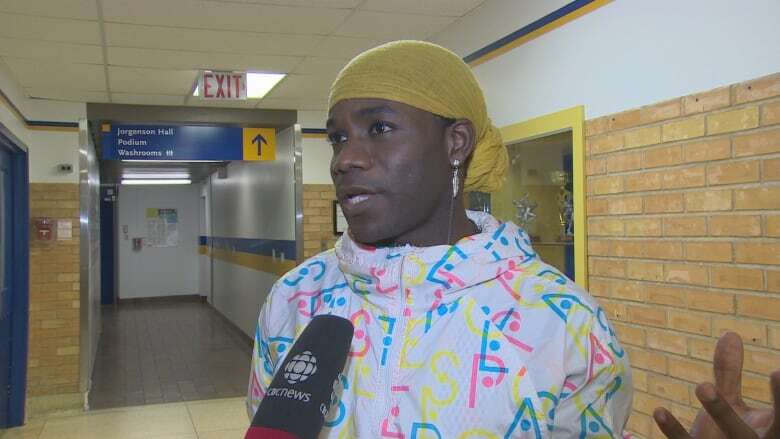 In every AGM, we've had vocal, passionate, dedicated members of our community make strong statements and requests for pride to be better," he said. Toronto Police spokesman Mark Pugash expressed disappointment over how Tuesday's meeting played out. "[Pride Toronto] assured us that the dispute resolution process would be used ... I think they have a lot of questions to answer about how democratic they are," he said. 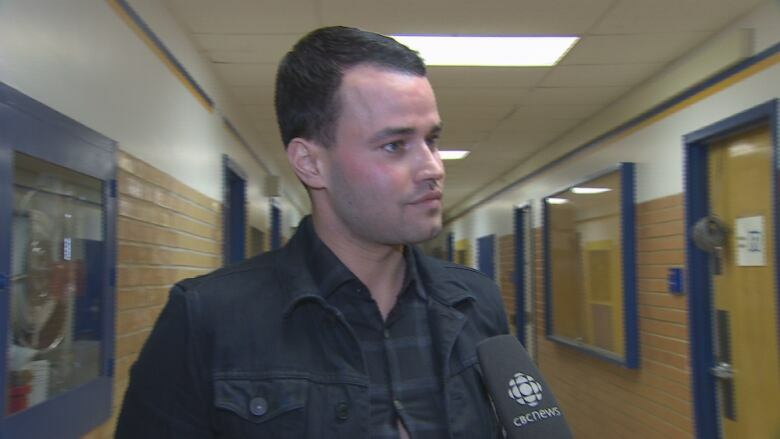 Pugash said that contradictory statements made by Pride leadership had left the police confused about what their role would be in this summer's parade. "I think it's a great shame that some people are choosing division over inclusion." Pugash said that the police have yet to formally hear from Pride about the decision. In the meantime, he said police will continue to build relationships with LGTBQ and racialized groups. Wngz, meanwhile, said the group is more than ready to hold Pride Toronto to their commitments. "It's a big deal when you have a chance to actually have some forward movement. And we're going to push Pride Toronto to make sure those demands are actually met," said Wngz. Other demands listed by Black Lives Matter Toronto include a commitment to increase diversity in hiring and staffing at Pride Toronto and a commitment to increase and support community stages, including the reinstatement of the South Asian stage.